In December, our Seishin students had a SKYPE meeting with students from The Netherlands regarding environmental issues in Japan and The Netherlands. Students from The Netherlands made an EXCELLENT presentation about flooding in their country. 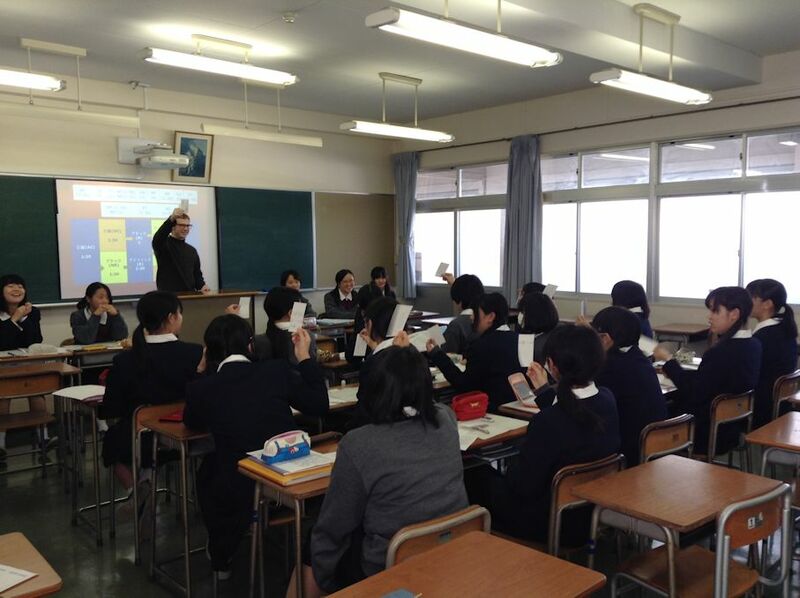 Our Seishin students then answered questions and presented information about the March 11, 2011 Great Tohoku Earthquake and Tsunami and its effects. We really enjoyed the presentation from the students from The Netherlands! In late November of 2013, second grade students of the Life Sciences Course had two in-school open classes. Over the course of the second term, students did debates on the topic of prenatal diagnosis in a round robin format. This way every group had a chance to debate against every other group and each student had a chance to try every role in a debate. In the two open classes, we held a semi-final and final match based off of the results of our in-class round robin. Even with this difficult topic, students were able to complete all speeches of debates and give each other advice. In the upcoming term, students will be doing parliamentary debate – a more spontaneous style of debate – to help them think on their feet better and use a wider variety of language.